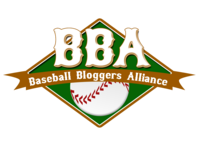 The Texas Rangers Blog - TTRB: Rangers win series versus Seamen, win a daytime getaway game and have a...what do you call it? Oh yeah, a 3 game winning streak going! Rangers win series versus Seamen, win a daytime getaway game and have a...what do you call it? Oh yeah, a 3 game winning streak going! Glass Half Empty / Afternoon Cloud: Scheppers a starting pitcher he is not. 6 ER's. Ouch. Glass Half Full / Silver Lining: The Rangers' offense bailed out a poor outing by a starter. Prince had another hit, 2 BB's and no strikeouts. All but 2 Rangers batters had at least 1 hit. And Kouzy (my nickname for Kouzmanoff) was 2-5. The bullpen held the M's offense from doing any more damage. Thoughts / Observations / Sidenotes: Is it sad that we're all so excited that Prince didn't go 0-fer? Is it sad that we're so excited about a 3 game winning streak? Don't care, it's great. Also, is it too early to be watching the standings? Also don't care, Rangers are 1.5 GB with A's yet to play tonight. and today Scheppers conveniently goes on the 15 Day "Disabled List" - that's funny I heard him interview earlier on The Ticket and there was NO mention of any injury. He does need to pitch for us until he is better - which he isn't going to be (at least not as a starter).